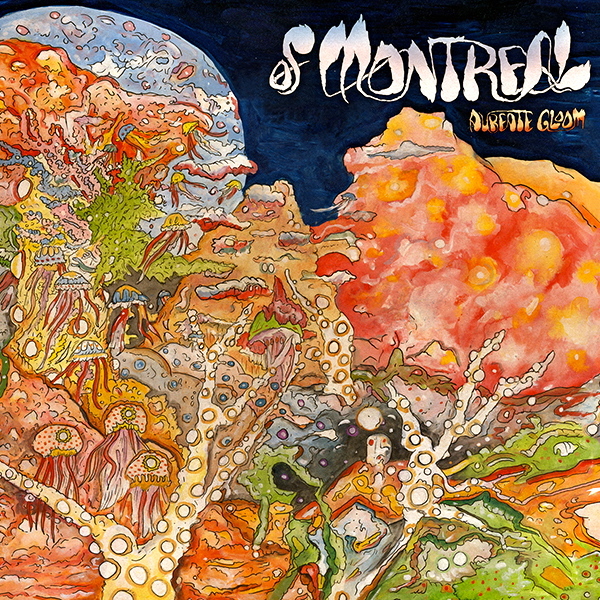 of Montreal is tripping everyone out with the use of psychedelic rock through the release of their thirteenth studio album Aureate Gloom. The band is not of Montreal though–the name stems from a woman from Montreal who lead singer and guitarist Kevin Barnes had romantic failures with. The band started out in Athens, Georgia with Barnes being the only member at the time. As the band grew over time, they shifted in genres from psychedelic rock to experimental pop. Aureate Gloom gives us a sample of a bunch of genres mashed together, which creates some intriguing combinations. “Estocadas” is a song with many different elements combining into one. The song begins with a blues-oriented guitar, but as the song progresses we are presented with a psychedelic style of rock. The vocals from lead singer Kevin Barnes sound spoken rather than sung, but it pairs with the song perfectly. Aureate Gloom is an album that takes on a large amount of musical genre while remaining on-track. Each song sounds live and authentic through the unpolished recording. Seldom do artists use this tactic, but it worked well for the sound of the music. Aureate Gloom shows that you don’t have to stay in a specific genre to make great music.